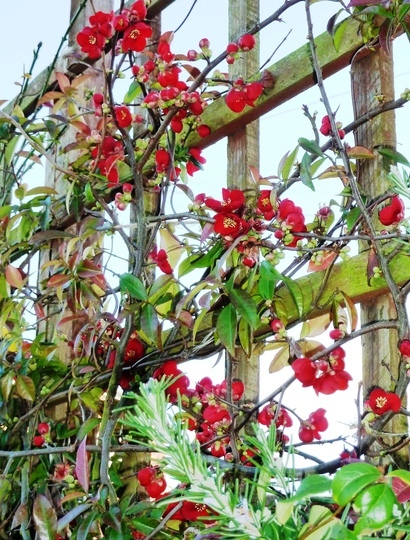 fencing ideas : CHAENOMELES on my front garden trellis. You can return to our fencing ideas page or browse the pictures using the next and previous links. If you've found inspiration take a look at the fencing & screening section in our garden centre.